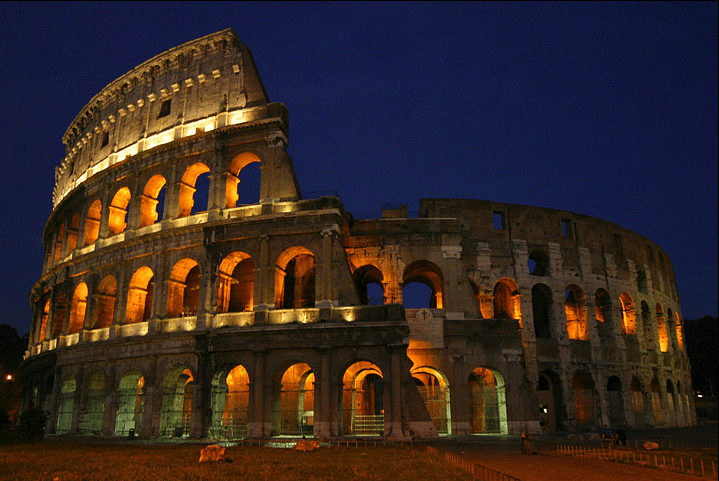 Rome is the very first city I ever explored by myself, and also the very first city I got lost in. I was 18, and visiting Rome with my German host family. We got separated in the huge crowds at the Vatican museum – it was literally shoulder to shoulder inside, with a queue that stretched back several kilometres outside. By the way, the art work in that place is pretty amazing. The scope, scale and glitzy grandeur of many of the paintings was pretty mind-blowing, especially for someone used to more stark, modern galleries. But the Sistine Chapel itself? Pretty underwhelming. It’s dark, crowded, smaller than you think, and honestly I didn’t really understand the fuss. It was also the place I lost my host family – they were there one moment, then when I turned around, they were gone! With no way to contact them (this was in a pre-travel sim era…), I left a note for them at the hotel and set off by myself to see what Rome had to offer. My first stop was the Coliseum. The thing I find incredible about that structure is the way it’s just… there. An icon of the ancient world, a relic of the Roman Empire at it’s most glorious, it sits kind of innocuously alongside a busy road. Flashy Italian cars and scooters speed past on their way to boutiques and cafes, tourists and commuters rush past in a flurry of shoes and bags, and there it is, impervious to time, strength embodied. It felt like it should have been off by itself somewhere, requiring some sort of pilgrimage to reach. But no. It’s just there. And it’s wonderful. From there I ventured to the Pantheon. In a city of churches, this one is iconic for a reason. Crossing the threshold from the cobblestoned street through the classic Roman columns, it’s easy to imagine you’ve stepped back in time. Inside, the graceful domed ceiling arcs majestically through the sky above your head to a central skylight, in a way that almost makes you forget you are indoors. Amazingly, the building is actually kind of spherical, with the diameter of the round main chamber the same as its height. For the afternoon, I wanted to see the Catacombs. My guidebook made them sound very interesting (if a little macabre), kind of like caving in a man-made structure, and it was something no one else I was travelling with was interested in, so I figured while I was on my own I would take the opportunity. And this is where the getting lost part of my story begins. 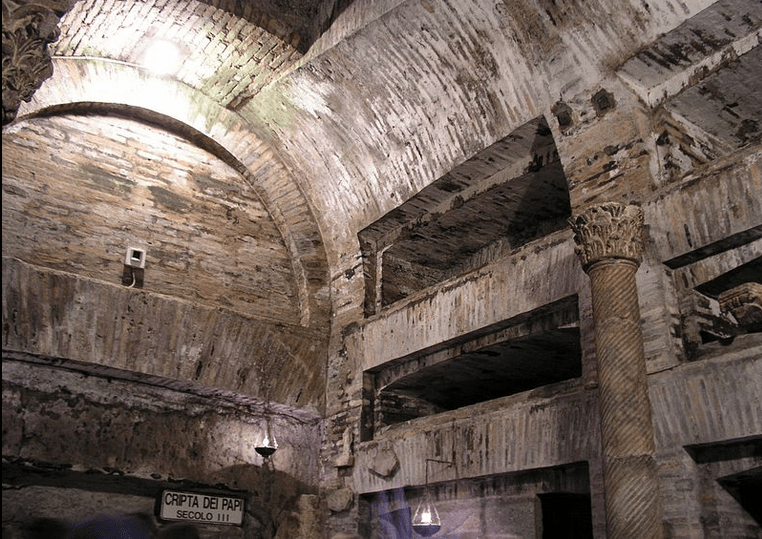 The Catacombs aren’t within walking distance of the city, you need to take a bus. I found the right one (only getting a bit confused – as a rural girl, at that point my experience with public transport was very limited), and ventured out towards the suburbs. Unfortunately, by the time I finally reached the Catacombs, it was nearly 4pm, which is when they shut. Resigned, I decided to stay on the bus. All the other buses I had caught so far had run on a loop, so I assumed this one would too. Confused and unsure, we all disembarked, and the bus drove off. I found myself on a tree-lined road with no buildings in sight, with two Spanish ladies and four Dutch backpackers, all of us utterly confused as we had thought the bus would be going back to the city. With virtually no idea where we were, we were left with only one choice – wait for another bus. And to top it all off, it began to rain. We waited on that cold, muddy, rainy road for the best part of half an hour until finally we saw a bus in the distance. We sighed with relief, and the bus drove straight past us. Great. Another half hour or so, with the light starting to fade from the cloudy sky, and finally another bus pulled up. Without having any idea where it would go, we all boarded it right away. The Spanish ladies tried to ask the driver where we were going, but he didn’t speak English – or Spanish. So we just tried our luck. I was starting to get a bit freaked out at this point. I was alone in a strange city, I didn’t speak the language and nobody knew where I was. And it was becoming apparent that this bus was taking us further from the city, not closer to it. The landscape was becoming decidedly suburban, and none of it looked familiar. Remember too, this was my absolute first time doing this, and things really hadn’t gone according to plan. Luckily the Spanish ladies were very kind, and someone overheard us and gave me directions to get to the metro, which he said would take me straight back to the city. That was also my first time catching a metro. This story has a lot of firsts in it. Luckily Rome’s metro is one of the simplest ones around the world to navigate, and with a station named “Collosseo”, I knew I could get back to where I had been that morning. Emerging from the underground and seeing that familiar facade of undeniable strength, the Coliseum, my sense of relief was overwhelming. I’d done it, I’d gotten back to somewhere I recognised, and from here getting to the hotel was simple. I virtually skipped as I grabbed some fresh bread from a quaint little baker for dinner. I’d done it. It’s become one of my favourite things about travel, that sense of relief and accomplishment when you overcome the hurdles that strange cities, foreign languages, unreadable scripts and unknown customs bring. Something as simple as figuring out the bus timetable can become a major achievement, something to feel satisfied about for hours or days. 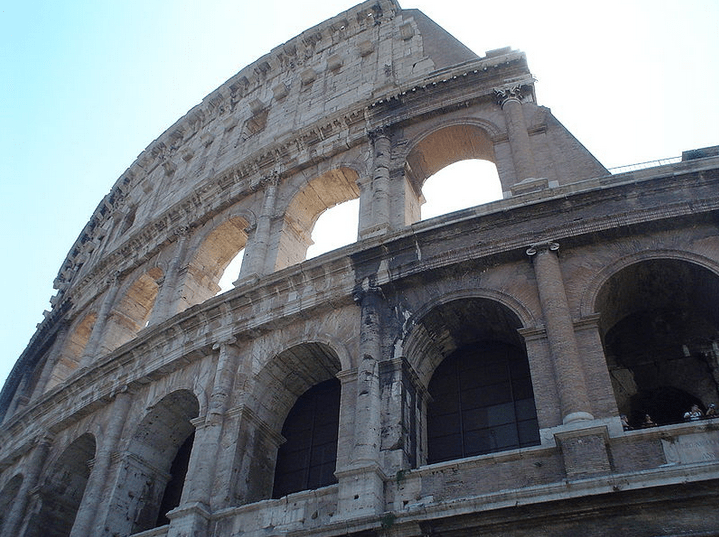 And overcoming these challenges builds resilience, strength and fortitude (incidentally, all words I’d associate with that magnificent Coliseum). And really, who among us couldn’t do with a little more of those? 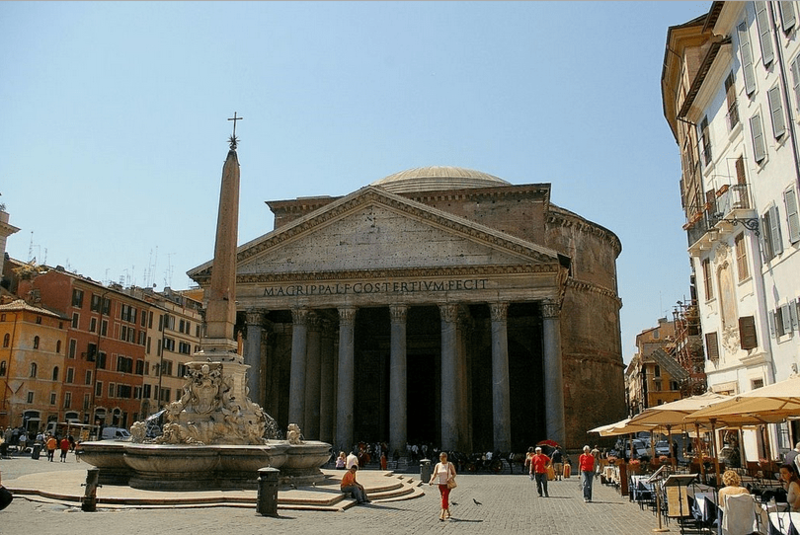 Images are all from Wikimedia this time – sadly I’ve misplaced my pictures from Rome! Yes, we rely on them so much now! And it’s funny to think although this didn’t happen very long ago, getting properly lost like this is probably an experience I won’t ever have again. These days I always travel with a WiFi device, be it a computer, phone or tablet, and working out where I am is as simple as finding a cafe with free WiFi and opening my maps. It’s useful, but maybe it also prevents us from having one of those experiences that can really define travel.